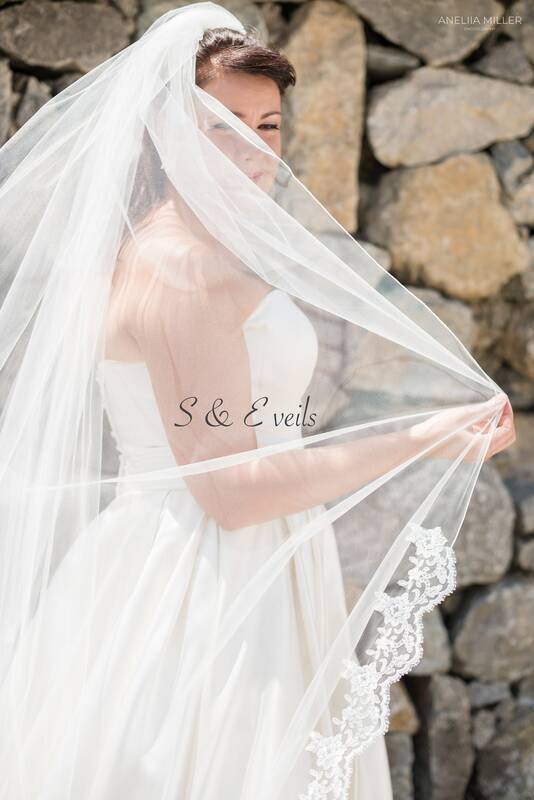 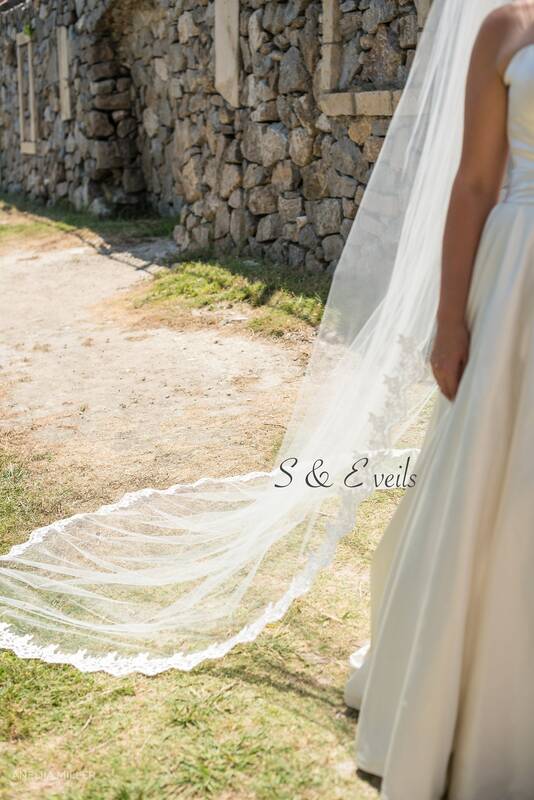 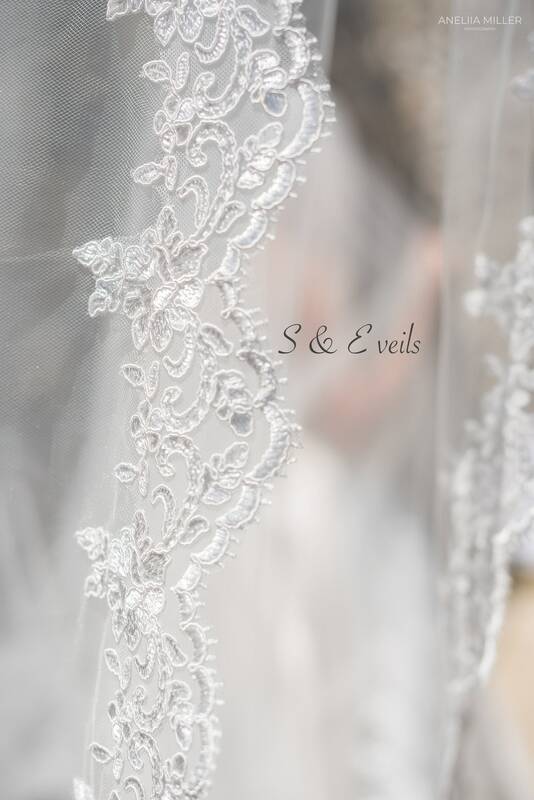 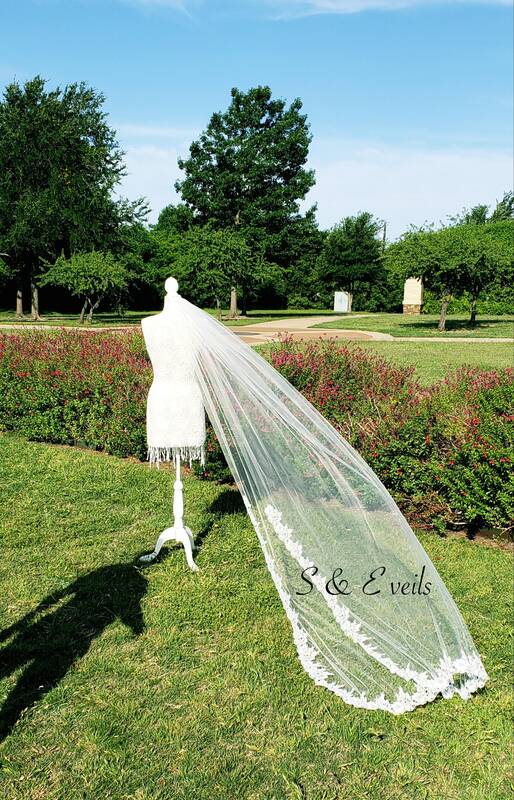 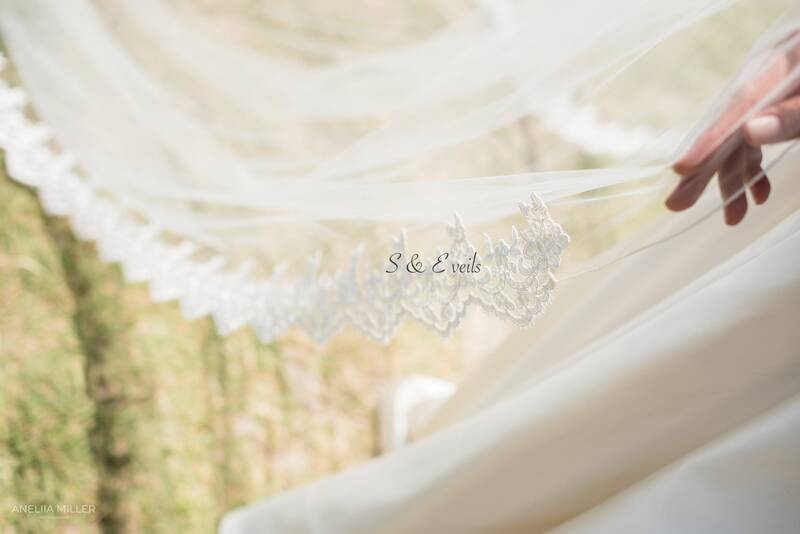 This gorgeous Lace veil with Pencil edge gives a finished look to the veil. 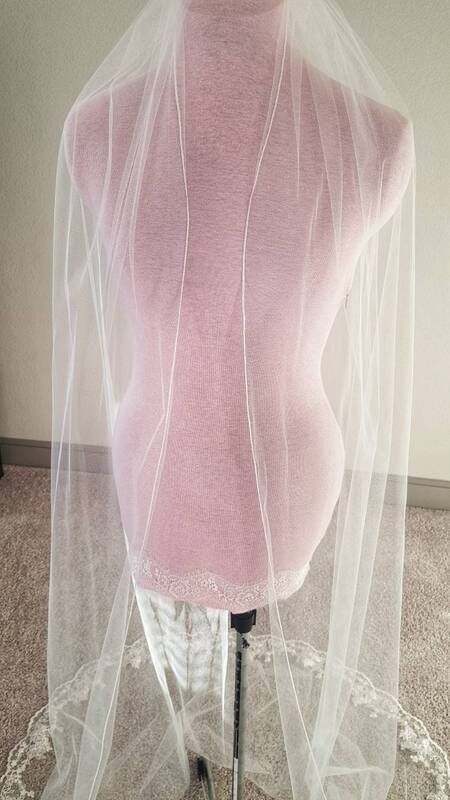 The mannequin shown here is wearing 72W x 108L and the veil is sewn to the comb for a secure fit. 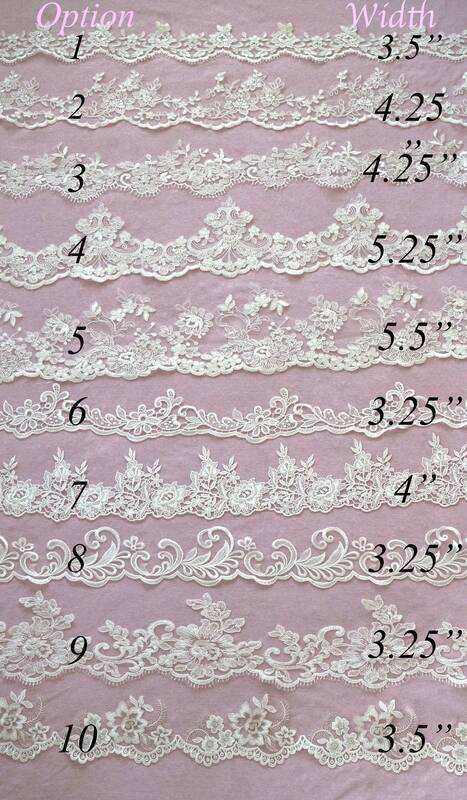 NOTE: In the comment section please write which LACE OPTION & COLOR LACE you would like. 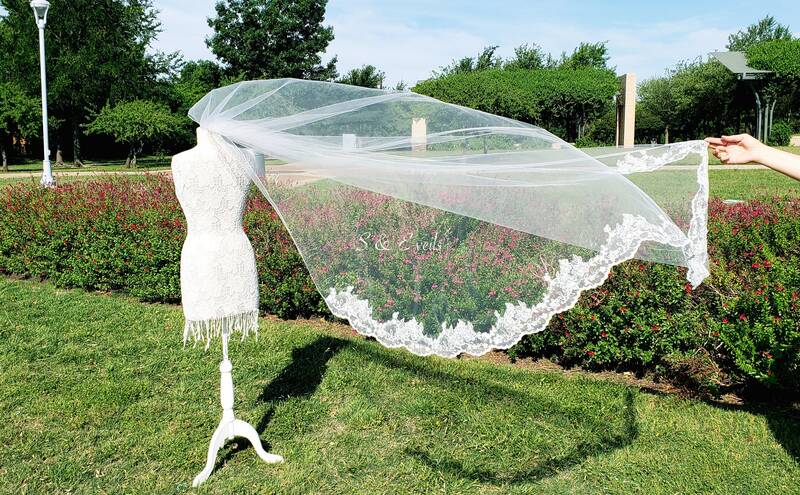 LACE colors: IVORY, LIGHT IVORY, and WHITE. 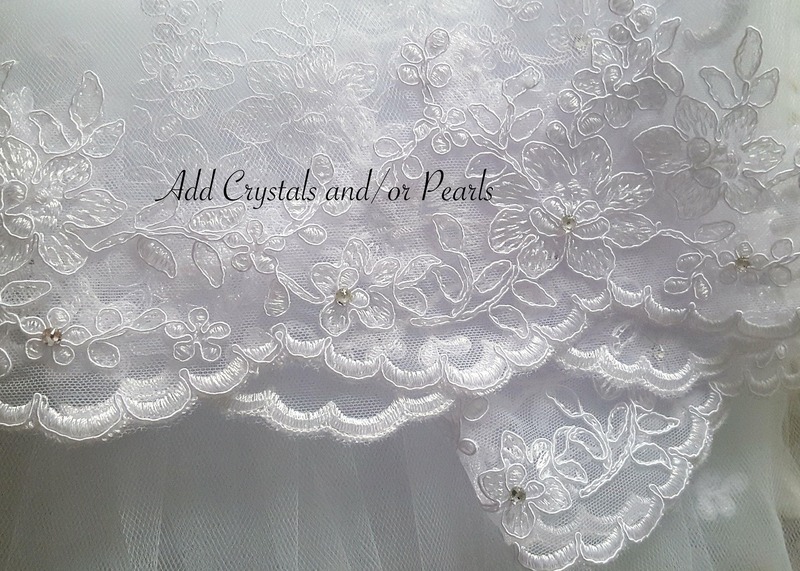 At an additional cost, Diamond/Silk White, and Champagne colors are available.